Jack Marshall died Sept. 20, 2012, at St. Alphonsus Regional Medical Center in Boise from a subdural hematoma caused by an unexpected fall. He suffered from cancer but in the last six months had regained his strength, his humor and his impressive dignity. Celebrations of Jack’s life will be held in Curaçao this November and on the McKenzie River near his childhood home next spring. Jack’s journey through life has always been an adventurous one. Born in Los Angeles in 1936, he lived his early years on an avocado ranch. In the early 1940s his family built and opened a fishing lodge on the McKenzie River in Oregon. 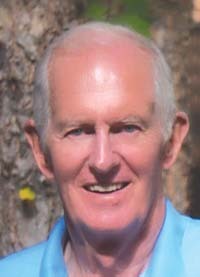 Jack became a fly-fishing river rat, a high school basketball and track star in Salem, Ore., and a graduate of Stanford University’s School of Architecture in 1958. Although he never worked as an architect, the education and the people he met through his Stanford experience were invaluable to his success as an international resort developer. Jack was blessed with a profession that challenged, frustrated and thrilled him. Two of his projects, Spanish Bay Resort at Pebble Beach and Beaver Creek Resort in Colorado, are rated in the top 50 resorts in the U.S. Throughout his career he tapped a small group of fiercely loyal, gifted men to help him actualize and implement his vision. His foray into the development business began in the early 1970s when he created the master plan for the island of Lanai for Castle and Cooke. Jack went on to the development of Las Gaviotas in Baja, Mexico, and Pajaro Dunes in California for Hare, Brewer, & Kelley. Working for Johns Manville, Marshall moved to Idaho to create the residential resort golf community at Elkhorn in Sun Valley, Idaho. Later, as head of real estate for the Pebble Beach Co., he got approvals for and oversaw the construction of Spanish Bay Resort and the Poppy Hills golf course. Harry Bass hired Jack to be president of Vail Associates in the late ’70s. His first assignment as the new president of the famous ski resort in Colorado was to settle the lawsuits resulting from deaths and injuries associated with the Lionshead gondola accident, which was the worst ski area accident in U.S. history. Concurrently, Jack got approvals for and began development of Beaver Creek Resort. While working on Vidauban in Southern France, he was enlisted to become president of Valbois in Donnelly, Idaho, which later became Tamarack Resort, and to guide that project through the permit process and to redo the master plan. Although he was associated with Valbois for only short time, Jack and his wife, Susie, decided to make McCall, Idaho, their full-time home and have been deeply involved in that community for the past 22 years. Jack’s work frequently took him away from McCall, but he found time to serve on the McCall Planning Commission for several years. In 2001, he began commuting between Curaçao, in the Netherland Antilles, and McCall. Dushi Curaçao and the Santa Barbara Plantation Resort he developed there with Dutch partners captured his time, his heart and his passion for the last 11 years. Jack is survived by his wife, Susie, of McCall and his daughter, Sarah Marshall, of Prescott, Ariz. Other survivors—Sarah’s daughter, Arley Semon of Washington; his nieces, Dana Noe of Ohio and Lisa Cornell of Boise, and their families as well as Susie’s daughter, Kaya, and her children—spent many happy summers and winters learning to ski with their adored uncle and Papa Jack in McCall. The Marshall family is so grateful for the amazing, loving support of the whole McCall community and especially St. Luke’s Hospice and Home Health Care in McCall during his battle with cancer. Per Jack’s wishes, donations in his name, if desired, should be sent specifically to St. Luke’s Hospice and Home Health Care, McCall, 1000 State St., McCall, ID 83639.